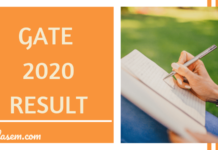 GATE 2019 Computer Science Engineering (CS) Answer Key – From this page, candidates can download the GATE 2019 CS Official answer key and question paper. The answer key has been released online on the official website, gate.iitm.ac.in. You can also download it from the direct link below. 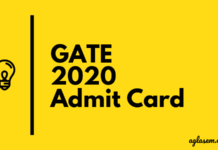 The analysis and solution for GATE 2019 CS is also available on this page. Candidates can use GATE 2019 CS answer key to evaluate their marks in the exam. Made Easy Answer Key – Available! GATE CS Solution by Made Easy can be checked below.